Toynne is a prolific writer and lyricist; she has written plays, songs, and also has a textbook for primary school pupils to her credit. She is the present CEO of ORA MUSIC LABEL, a record label that is committed to helping upcoming artistes and talented youths. Toynne is married with children; she loves praising and worshipping God, singing, dancing, reading, writing and travelling. 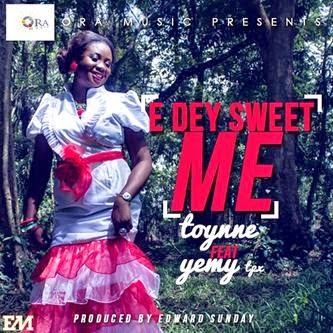 She has a new single tittled, E DEY SWEET ME, a song that blends the contemporary with the ancient in a unique style; the song also features the award winning YEMY TPX and it is produced by the multiple award winning EDWARD SUNDAY.